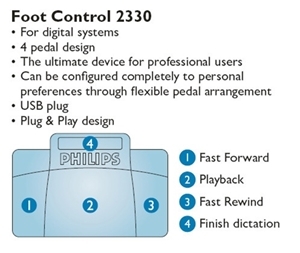 The Philips LFH2330 is a revolutionary design in foot pedals. It was based off of 30 years of experience with foot pedals, customer requirements, and in close cooperation with hospital ergonomists’. This new design represents a milestone in ergonomics, reliability and working efficiency. The ergonomic design of the new Philips Foot Control range sets new standards in terms of usability in the professional dictation arena. The development is based on detailed research into the movements made during transcription. The requirements for usage have been incorporated into its design: because it inclines gently from the centre, the user can switch easily and smoothly between the various functions. Transcriptionists can stop and start dictations with only a slight movement of the heel, without lifting the foot unnecessarily, which both increases efficiency and makes the device a pleasure to work with. Anti-slip bottom surface to keep it in the right place. 4 pedal design which can be completely configured to suit you. Express Scribe Pro audio player software for PC or Mac designed to assist the transcription of audio recordings. A typist can install it on their computer and control audio playback using a transcription foot pedal or keyboard (with 'hot' keys). 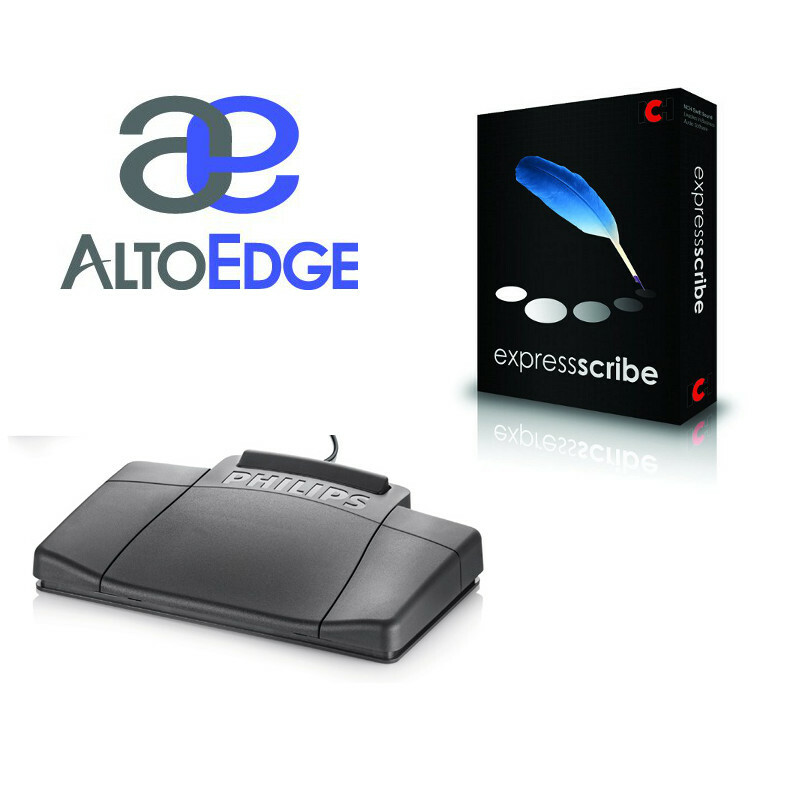 This computer transcriber application also offers valuable features for typists including variable speed playback, multi-channel control, playing video, file management, and more. Spare USB 2.0 or better port.